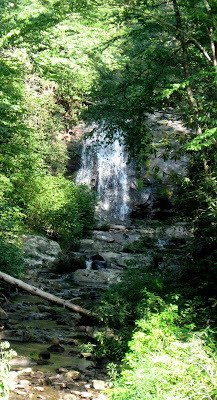 Meigs Falls on Little River Road is one of two in the Park that can be viewed from a vehicle. The Great Smoky Mountains National Park is one of my favorite places to visit. But it wasn’t until a November 2008 trip that an enthusiastic volunteer introduced us to the nonprofit Great Smoky Mountains Association and the Smokies Life magazine. Published twice a year, Smokies Life is one of several membership benefits. I love it. Its colorful and well-designed. Great articles and beautiful photos feed my interest in the area’s plants, animals and people--past and present. When I can’t get to the Smokies, I can enjoy a hike through the pages of Smokies Life.